We often get inquiries from our customers who bought our ceramic coating. Of course, only washing is OK as car caring without Nano Pika Pika Rain Detailing Spray. However, there are many good points of applying Pika Pika Rain Ceramic Coating and Nano Pika Pika Rain together indeed. This time, we would like to introduce about Pika Pika Rain PREMIUM and Nano Pika Pika Rain Nano Type-K! Pika Pika Rain PREMIIUM’s water repellency is very nice. However, if you apply Nano Pika Pika Rain Type-K together, you can get better one. It can reduce damages by scratches to the glass layer. Moreover, it gets hard to adhere fine dirt such as yellow sand and pollen and these are removed easily. The deep and moisture gloss which is a characteristic of ceramic coating, and then it gets more shine by Nano Pika Pika Rain Type-K.
Also the touch changes from creak when you touch the glass to smooth. These two points are easy to find, so please try on your precious car. Next, let’s try to apply Nano Pika Pika Rain Type-K! At all events, washing a car! Please wash your car with car shampoo as possible as you can. Nano Pika Pika Rain can apply for the wet car body. Please shake the bottle well and make a microfiber cloth wet and wring out. Then please spray 1-2 times onto the microfiber cloth. At that time, you should better to spray evenly onto the microfiber cloth to make the better finishing. We have inquiries from our customers about a cloudy or foggy finish. Nano Pika Pika Rain is strong, so if you spray too much, the finishing should be cloudy and foggy, not beautiful. 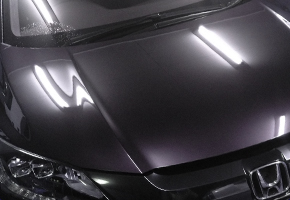 Especially, for a dark color car, it is clear to find it, so please control amount of spraying. Moreover, please do not use Nano Pika Pika Rain to windshields and rubber parts. Wipe off the car body with the microfiber cloth which is sprayed Nano Pika Pika Rain Type-K.
At this time, we recommend to divide the surface of the car body into small areas (like half of the bonnet, one of doors and so on) to apply evenly. Please check every parts you applied and if you find unwiped areas or the liquid, please wipe them with another dry microfiber cloth. Applying Nano Pika Pika Rain Type-K every car washing or once a month is recommended. Please don’t worry even though you could not apply it unevenly! Nano Pika Pika Rain is water-based. Therefore, it can removed by washing with car shampoo a few times. We got many reviews from our customers! “It is difficult to find, but the applied surface got better in the gloss and touch. I also applied it to the aventurine surface, the black color got deeper gloss. It looks so nice. It is good as daily car care for a coated car. Then please try Nano Pika Pika Rain for you haven’t tried yet on this occasion! Must-read for all beginners! How to wash a car and tricks of it from professionals! To begin with, why should we wash a car? Washing car is tiresome, isn’t it? Especially, many people might fell bothersome for washing with hands. Then you tend to use a car wash machine when you put some gasoline, don’t you? Some of you might think like this. “Washing a car” is compared to taking a bath for human, but we totally agree with this. – the one is “keeping itself beauty and clean”, and another is “prevention against the deterioration”. If people don’t take a bath for a few days, they are getting unclean. If you forget to wash a car, its appearance is getting worse and worse, such as the gloss and the dirt. Apart from the appearance, sometimes a car might “get sick” like a human. For example, deterioration and fading the color of the car paint surface, water spots and so on. These things should be ask professionals will happen. If you wash a car at this time, it is too late. Therefore daily car washing need to prevent these situations. Some of you might think like these. However, the dirt is more complicated than we think. For example, please imagine mud. – Mud contains chemical constitutes in the air and soil, so it tends to effect on the car paint surface such as fading the color if you leave it. – It is easy to become the rust due to the water. – Mud also contains sands and gravel, so dry mud changes to scratches when you wipe with a damp cloth. Also dust, acid rain and ultraviolet rays are great dangers for the car paint surface, too. By the way, same thigs will happen even though a car is applied wax, polymer wax and glass coating. Of course these coating have some merits which it reduce the dirt and damage. Also it can be easy to wash off the dirt. However, if you leave your car for a long time, many water spots will break out on the glass layer. Moreover, if you drive a car long distance, the dirt will be accumulated. This cannot be prevented by any coatings. Yes, you need to care about it even though if you apply glass coating. Then, this time, we would like to tell the must-read car how to car wash by professionals specially!! Please read and refer to this article! First, keeping the space for car washing is very important! If you have your own garden or parking space or the place where you can use the waterworks or the place where nobody finds troublesome, it is okay for washing a car at your home, but we know that it is difficult for some of you who live in an apartment. Let’s go to the nearby car wash place! There are many car washing places in the whole of Japan and they have car wash machines and spaces for washing by hands. Let’s search with “place (where you live), car wash” and the best please to wash a car for you! After you kept the car washing space, let’s prepare washing tools next! We would like to introduce some useful items below. Car Shampoo is a must item for car washing! We recommend the natural one which doesn’t contain with polishing materials for the car body. Moreover, if the car shampoo makes many bubbles, draining should not be well and over flow the bubbles, so we recommend to use rinse aid car shampoo. Microfiber Cloth which is essential for washing the car body. As we will say below, when you wash a car, washing with soft microfiber cloth is the best, not washing with a sponge! Microfiber Chamois which is a helpful item for wiping! It is appropriate for saving time of wiping. If you have one piece of Pika Pika Rain Microfiber Chamois, you can use it many times, so it is very high cost-performing. Everyone must have experiences of facing the problem when you wash wheels. For example, you cannot reach to the inner parts, the brush doesn’t remove the dirt well… and so on. However, Pika Pika Rain Wheel Brush which is made by wool can absorb the dirt well and that’s why it can wash gaps, too. This is an essential item for making bubbles with car shampoo. There are many kinds of them from usual and cheap one to high-performance folding one, so please choose the appropriate bucket for you! Please prepare a horse when you wash a car at your home! If it has a showerhead, you can wash easily due to the high diffusion power. Microfiber Cloth is the best for car washing! No matter what, washing by hands is the best for car washing! Some of you might use a car wash machine because washing by hands is tiresome. However, a brush or mop of car wash machine tend to wash with pebbles and the dirt and it causes scratches. The friction with a brush as well. Moreover, washing with a rough sponge is NG even though washing by hands. The reason is same as a car wash machine. Then please use soft microfiber cloth when you wash a car with hands. It is gentle on the car body and can remove the dirt finely! Also you should wash your car when it gets dirt immediately, after that you can go to the next step! If you’re ready to wash a car, let’s actually start!! Let’s wash a whole car with the water of a horse (a shower type is better). Please make note that wash from up to down like a roof, front sides, panels, under sides and tires. If the water pressure is too much high, it might damage the car body and wheels, so please do not try to wash the dirt forcibly, just wash them as possible as you can. Also please splash the water to the car body not to dry it until you finish car washing. (Especially, in the summer season, the water dry quickly and it could be water spots. Therefore, don’t forget to get wet the car body moderate. Next, please wash wheels which are the easiest parts to get dirt. Basically, we said that you should better to wash from up to down above with a single exception. Regard to wheels, please wash them first not to the dirt fly apart to the car body. First of all, making bubbles well with car shampoo in a bucket of the water. Then please soak a wheel brush in the bucket (especially bubbles). Please do not wash too much strong, just wash wheels with bubbles and the hairs of brush gently. At this time, if you rinse them while washing could be efficiently. The microfiber cloth which use for washing wheels do not use it again for washing the car body. After finished washing wheels, let’s move to the next step- washing the car body! Please make fresh the water and make bubbles again. First you splash the water and wash from the roof with bubbled microfiber cloth. The order is the roof, the windshields, the bonnet, the trunk side, the bumper, the headlights and the number plates. Please wash every parts and rinse them not to remain the car shampoo. Same as washing wheels, if you rinse them while washing could be efficiently. Please check around the car whether you wash it completely when you rinse car shampoo. If it looks fine, let’s move to the finishing. 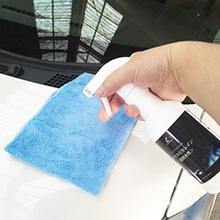 Please dry the water on the car body with Microfiber Cloth or Microfiber Chamois. Microfiber Chamois is better absorption than Microfiber Cloth, that’s why it can dry the water efficiency. It is easy to use, you open a Microfiber Chamois and you only pull its edges slowly, it can wipe the water in spite second. At once you wring out it, you can use it again and again. Just one more thing, the water which in the gaps will drip and it might cause water spots. Therefore, it should be fine if you put out the water from gaps by opening the doors and then dry the water completely. If you dry the car body completely, car washing is finish. This is the solution for stubborn dirt which is cannot be removed by car washing. We always face the problem which we cannot avoid. It is “the dirt which cannot be removed by car washing”. In this paragraph, we would like to introduce about solutions by each case! – What are water spots? The dirt which is streaked grey or black like, we called it “water spots”. It is caused by the oil of exhaust gas and the granulous asphalt. Usually water spots can be removed by washing with car shampoo diligently. If you avoid daily car washing, it means that you lose chances to remove water spots. Then if you leave the water spots for long time, finally you cannot remove them by washing with car shampoo anymore! In this case, you should try to water spots remover on the market. – What are water droppings? Also if you leave these for a long time, these will damage on the glass coating and the car paint surface by droppings with an acid. Therefore, you don’t take your eyes off these. There is possible to remove droppings by car washing if the time doesn’t pass from these adhered. If these are stubborn like you cannot remove by car washing, it might cause scratches, so please do not try to remove with all your strength. Please wipe these off with soaked cloth or tissue with water (hot is better than cold) gently. – What is Ion Deposit? We call a white circle mark on the car body as “Ion Deposit”. The minerals crystalize and they adhere to the car body when the water evaporate. 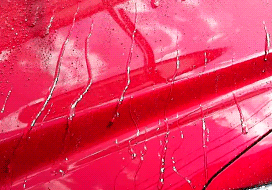 It is caused by leaving the water after washing a car or raining. Car washing in the summer is an easy situation to make Ion Deposit because the very hot car body. Ion Deposit can removed by Pika Pika Rain Ion Deposit Remover. 1- Wash a car to remove the remarkable dirt and dry the water. 2- A soaked cotton with Pika Pika Rain Ion Deposit Remover put on the Ion Deposit from 30 seconds to 1 minute. 3- Wash a car again not to remain Pika Pika Rain Ion Deposit Remover. Pika Pika Rain Ion Deposit Remover is very strong. If you wrong to apply it, it will decompose the glass coating, so lease be careful when you apply it. For you like above, we recommend to polish by Pika Pika Rain Liquid Compound. From now, we would like to introduce how to apply it briefly. 1- Wash a car to remove the remarkable dirt and dry the first. 2- Put proper amount of Pika Pika Rain Liquid Compound which you shake it well on a sponge. 3- Move a polishing machine horizontally and buff the area that needs attention. 4- Please move to a next small area and repeat step No.2 and No.3 to finish. 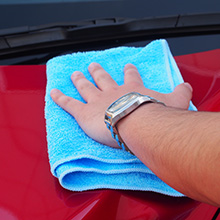 5- Wash a car completely after polishing and wipe off with a clean microfiber cloth. Please make note that the glass layer of glass coating is removed by applying compound. Also Pika Pika Rain Liquid Compound is very useful for removing stubborn water spots and scratches, too. Please have a look our blog about this! How should we do about car-caring after washing car? Do you do car-caring after you make the car body beautiful by washing? If you finish with only car washing, the dirt and water spots theses should not be removed easily with time. However, it is tiresome and time-consuming if you have to do the preparation as we said above ever time you wash a car washing, isn’t it? To begin with, car washing is a necessary work as long as you have your own car. You want to keep your car beautiful possibly, don’t you? Moreover, if you can remove the dirt easily, it car washing should be much easier , can’t you? Then, how kind of car-caring we need? The answer is … applying coating. 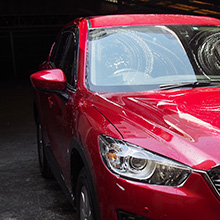 Applying glass coating after car washing make your car beautiful and become easier to remove the dirt due to the protection glass layer than you don’t apply it. However, there are many types of coating and of course they have each features, merits and demerits. We would like to introduce about types of glass coating below. It is 100% cured glass coating. It makes the glass layer by a chemical reaction and the glass layer can protect a car. 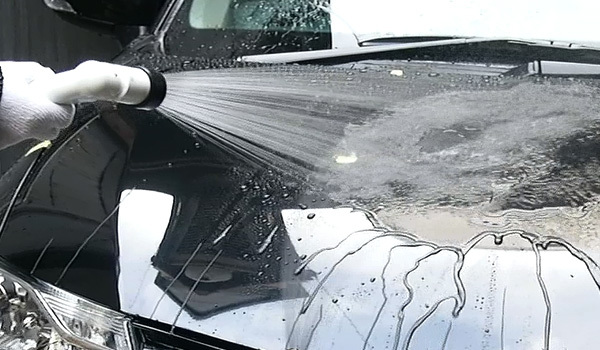 It also makes easy to remove the dirt when you wash a car. – Easy application even though genuine specifications which used by professionals. It doesn’t cure such as glass coating, but you can apply it easier than glass coating. 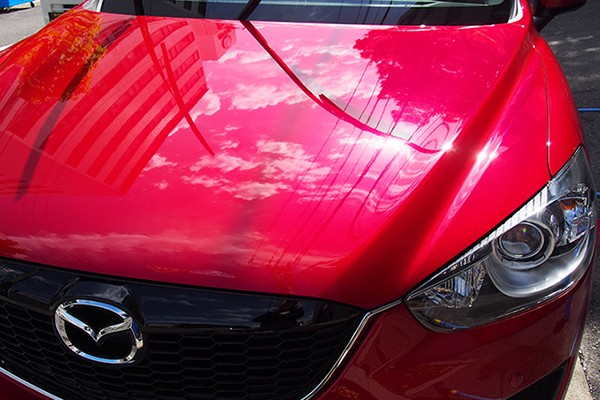 If you apply Nano Pika Pika Rain (our detailing spray), the gloss, shine, anti-dirt power will improve. -You need to apply this regularly because it doesn’t have durability. Many people have images which a beautiful car is waxed one a little while ago. Car wax makes your car beautiful. However, surprisingly it is difficult to keep your car beautiful and worse durability than other coating and detailing products. Moreover, it is time-consuming a little bit. -You might damage the car paint surface if you make an error in preservation. 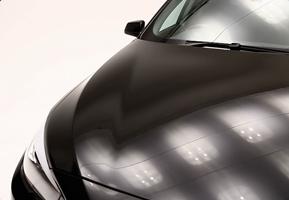 Polymer coating is a product which are combined with merits of car wax and the workability of glass coating. Pika Pika Rain 2 comes under Polymer coating in our products. It might be difficult to choose from such a many types, but let’s find your best coating for your style and do car-caring after washing, too. Then lets’ keep your precious car beautiful as long as possible. We wrote about car washing for a long time, but car washing is good for not only we said above but also checking your car’s condition. If you wash a car diligently, you can find something happens like scratches, lack of parts… and so on. Therefore, please get into a habit of washing a car regularly without being bother.